Kimbra’s blog about mindfulness and online art course. Is your internal artist a 10 year old? – Tips on how to draw grass. See tips on how to draw grass below. Is your internal artist a 10 year old? According to Betty Edwards in her highly acclaimed book, “Drawing on the Right Side of the Brain”, most children stop enjoying drawing when they are about 10. 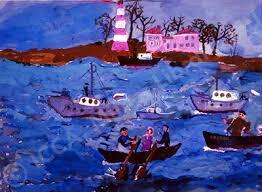 Till then, they draw and paint and derive great pleasure from it. It happens naturally because it’s inherent like singing and dancing. Little children are primarily right hemispheric until they develop the cognitive capacities of the left hemisphere at about 10 years old. Prior to that they have an inherent sense of the whole picture and an awareness of the relationships between things and the edges of the page. They are happy to express themselves with simple inter -related symbols in glorious colour. 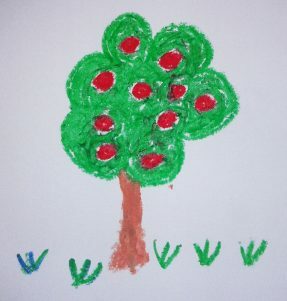 I remember drawing my first apple tree with those fat, waxy school crayons. I’ll never forget how wonderful the bright red apples looked on that green background! 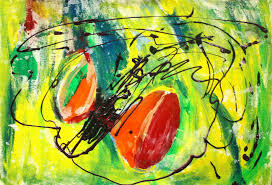 It was my symbol drawing of an apple tree and at five years old, I adored it. CAN THE TEN YEAR OLD SEEDLING GROW? Children can be taught to see and record, by learning how to access the powerful visual and analytical skills of the whole brain. So too can the 10 year old artist of an adult. The age you stopped drawing when you were a child, is the age of your internal artist. This explains the apprehension most adults feel round drawing, you may feel like a vulnerable 10 year old who believes you’re no good at it. 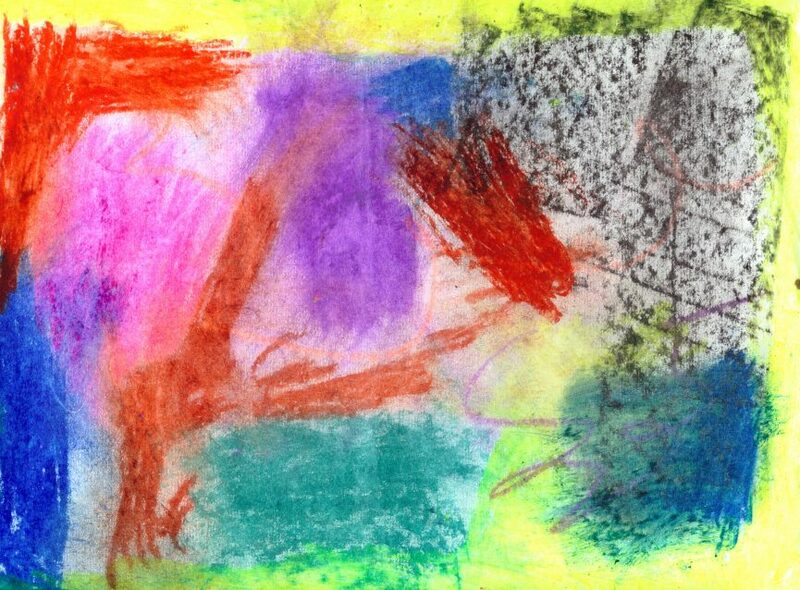 This piece of child art reminds me of work by the great Russian artist, Kandinsky! Let’s acknowledge our left hemispheric symbol for grass; we know grass is made up of thousands of little straight stalks. So when drawing from the left hemisphere you will draw little lines all evenly spaced, straight up and down or three little straight lines joined at the bottom and splaying. I loved doing this kind of grass as a child. It felt so cool the first time I learned to do it, probably by copying someone! When we “look” at how grass manifests visually we don’t see hundreds of tiny stalks, we see masses and clumps. We do see some individual stalks but they go off at different angles, they cross over one another, they are very rarely evenly spaced. 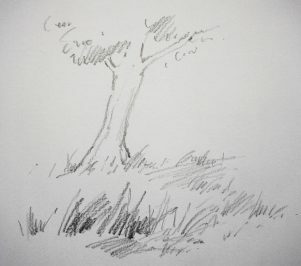 When doing super realism we may draw every blade of grass (I have done this!) but generally when viewing grass, the mind gets an impression of shapes – big ones, middle sized ones and little/tiny ones. When we are learning how to draw grass, we can represent clumped grass shapes quite simply.